Do you remember the 80’s song by the band, Berlin, “Metro”? That bouncy tune, as well as the Le Tigre song, “My Metrocard” were playing in my head as I spent a day in Berlin riding the S-Bahn and U-Bahn around the city. Since it was my first time in Berlin, I bought the Berlin Welcome Card when I arrived at Schoenefeld airport. The card provides discounted admission to many museums and attractions and unlimited transportation in and surrounding the city, depending on which version you get. 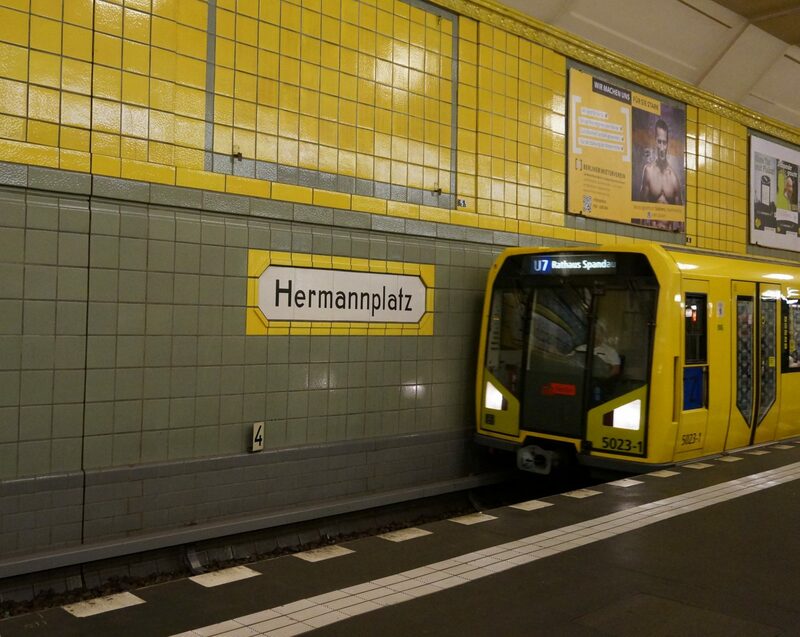 Berlin’s public transit system is very efficient, and well established. The S-Bahn has been around since the 1930’s, and the U-Bahn was built even earlier, with the first line completed in 1902. With the Welcome Card in your hand, you can hop on and off on a whim and get around like a local, without waiting in line or fumbling for coins at ticket machines. As a beginner, it takes a little time to figure out the vast system – the S-Bahn alone has 170 stops. But don’t worry if you get off at the wrong station. The trains run frequently – about every 5 minutes during rush hour, so you wont lose much time. Not only that, there is a lot of interesting public art to look at while you wait – artwork that can only be seen if you venture underground.